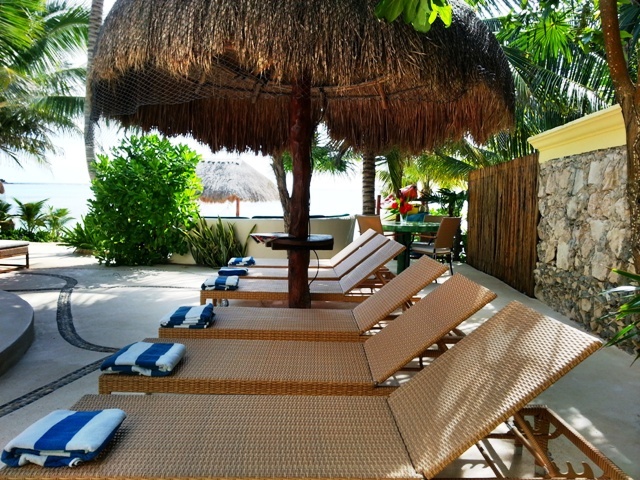 From the beach-side palapa to the rooftop sunbathing terrace, Villa Iguana is sure to make a statement! 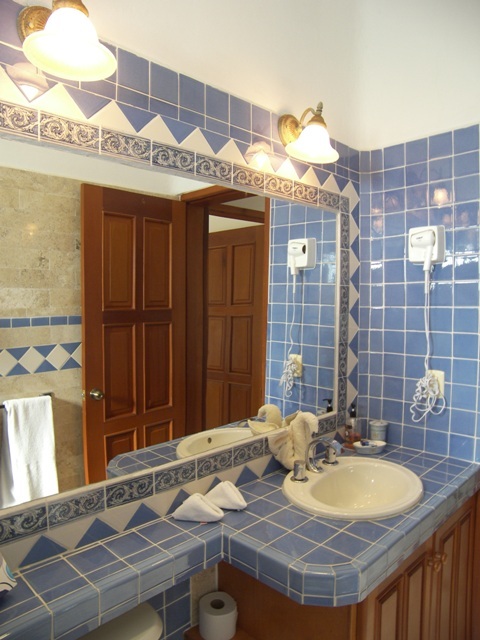 The main house has 4 bedrooms and 4 bathrooms and there is a 5th bedroom guesthouse with private bath. 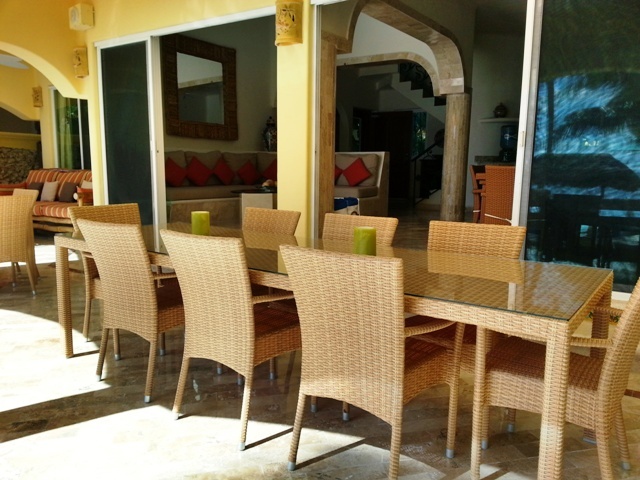 A garden side terrace and swimming pool with numerous outdoor gathering areas offer both sun and shade. 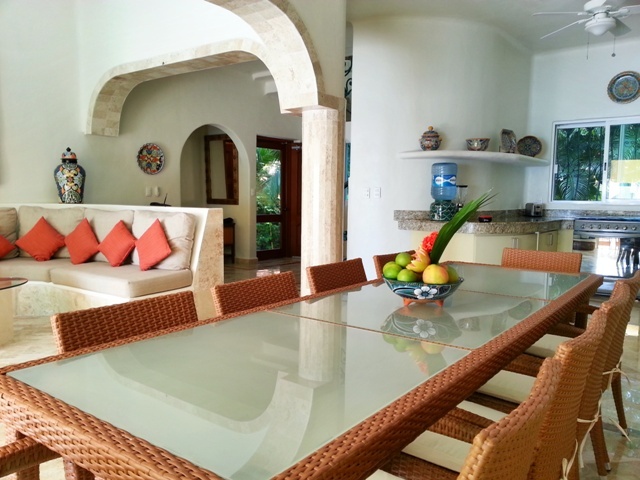 This villa has combined elegant modern living within the artful charm and accent of Mexico! 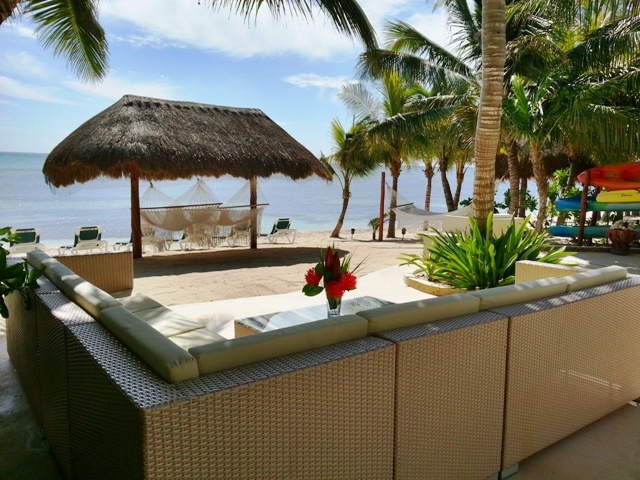 When you arrive you will enter the garden area which is immaculately kept and leads to a large dining terrace that provides shelter from the sea breeze. 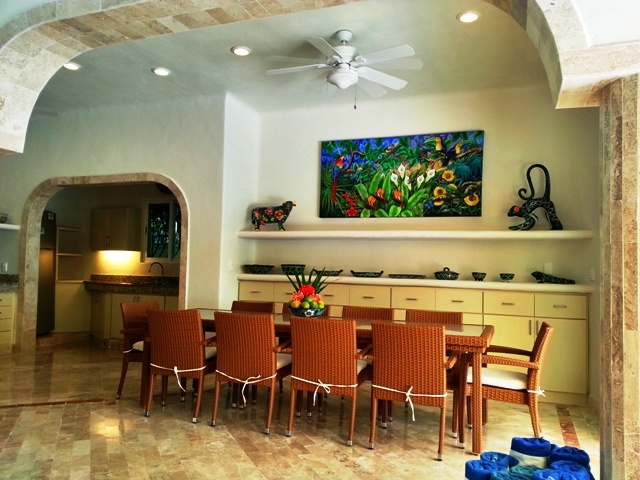 Step inside the house to an open plan living and dining area with Travertine marble floors. 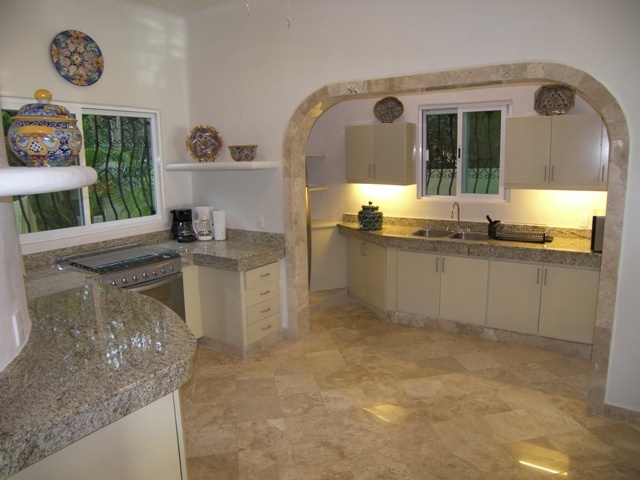 Next to the dining area, the kitchen features granite counter tops and chef quality appliances. 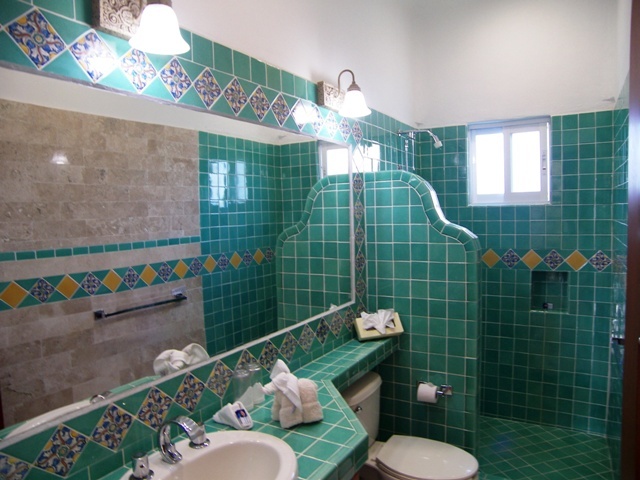 Look up to see the wonderful frescoes on the ceilings in the living room and stairwell and please enjoy the local ceramic art and paintings found throughout the villa. 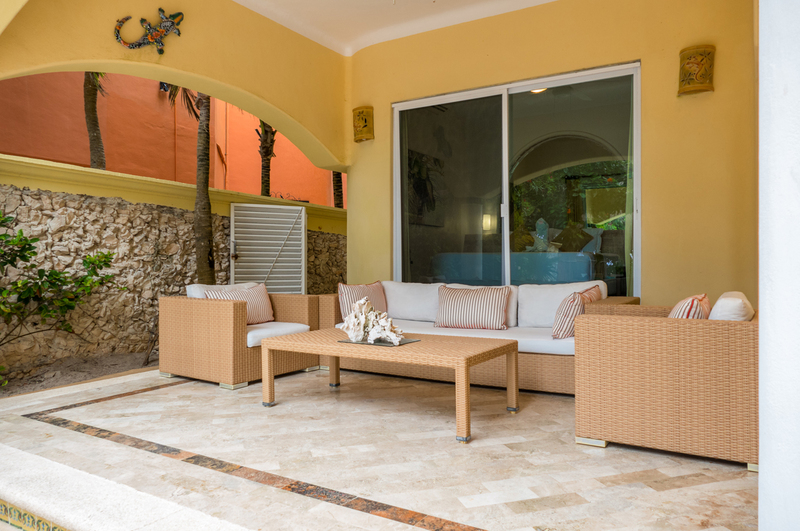 Double glass sliding doors lead to the pool and a covered terrace with lovely comfortable modern outdoor sofas and loungers. 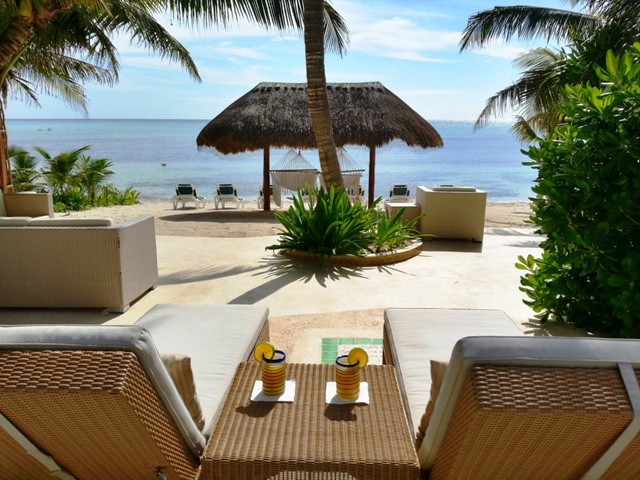 A 5-star approach is made clear in this pleasant environment. 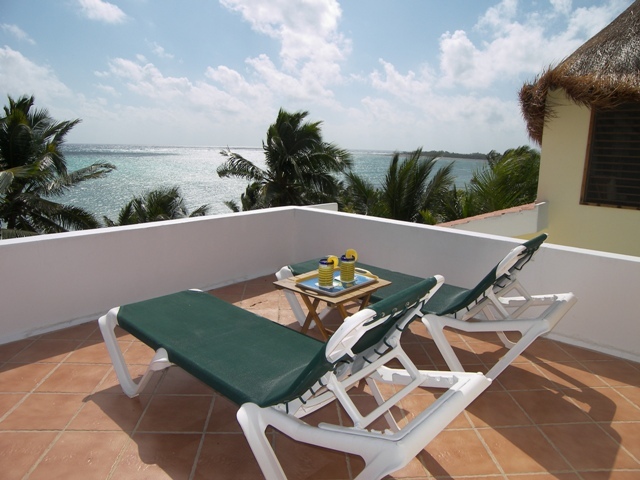 There are several conversation areas, so lean back in one of the many chaise lounges and let your vacation begin! 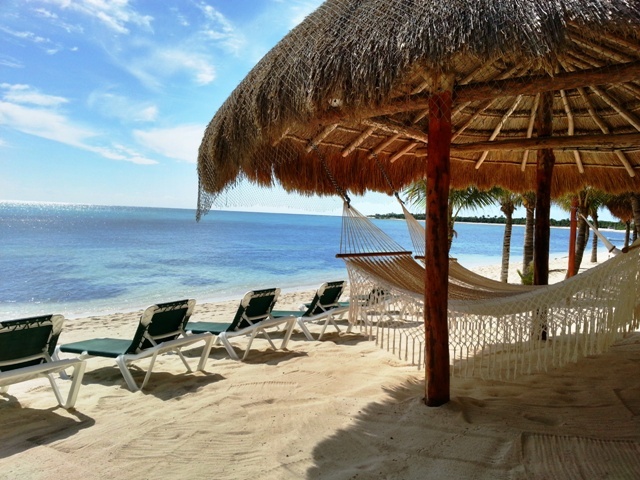 A lovely beach palapa provides shade and the ideal place to hang a hammock. 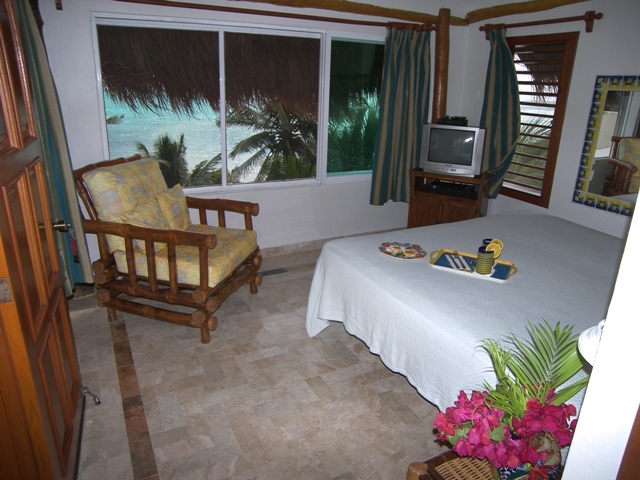 For the more adventurous, Villa Iguana provides snorkel gear and kayaks to explore the beautiful Caribbean Sea! 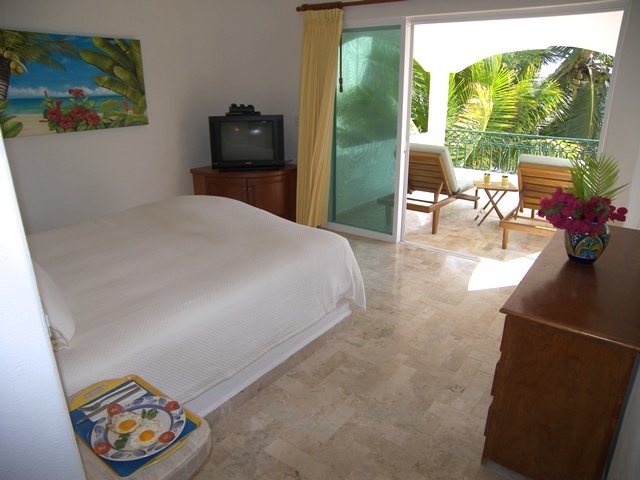 The first guest bedroom is downstairs and opens directly onto the pool. 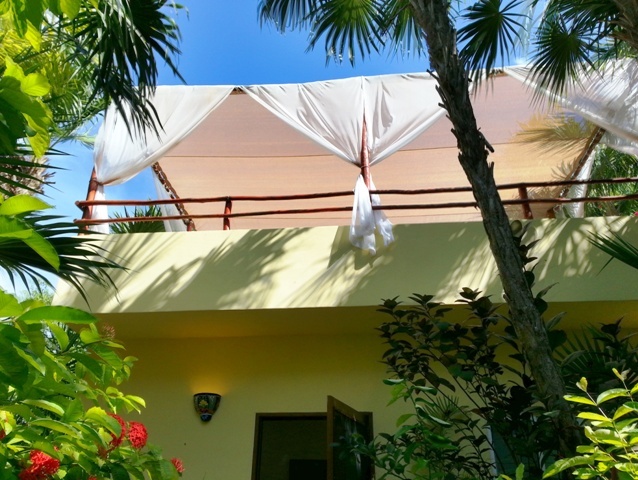 The master and second guest bedrooms are on the second floor and each have a private terrace ideal for sunbathing or a private massage. 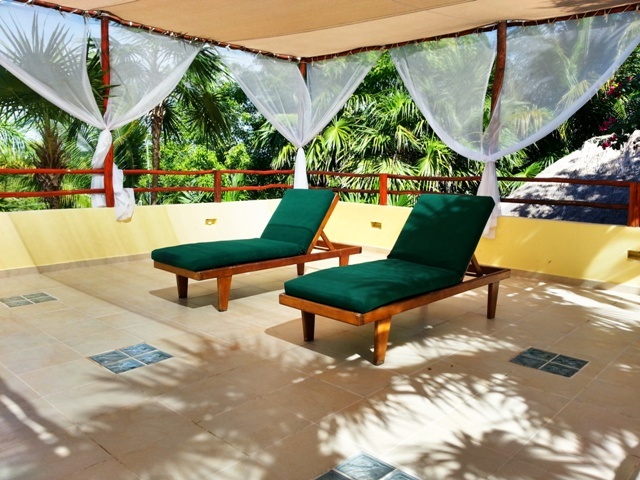 Situated on the rooftop of the villa is the Palapa Roof Suite with another fresco ceiling. 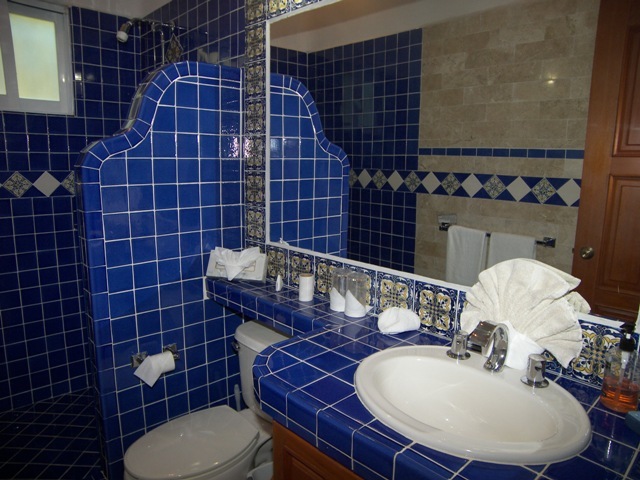 There's a bathroom for every bedroom and all are spectacularly finished with Talavera tiles. 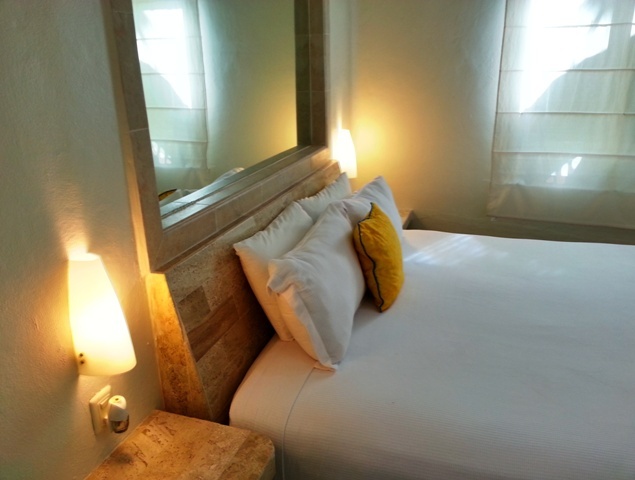 The fifth bedroom is the adorable guesthouse located in a peaceful garden setting. 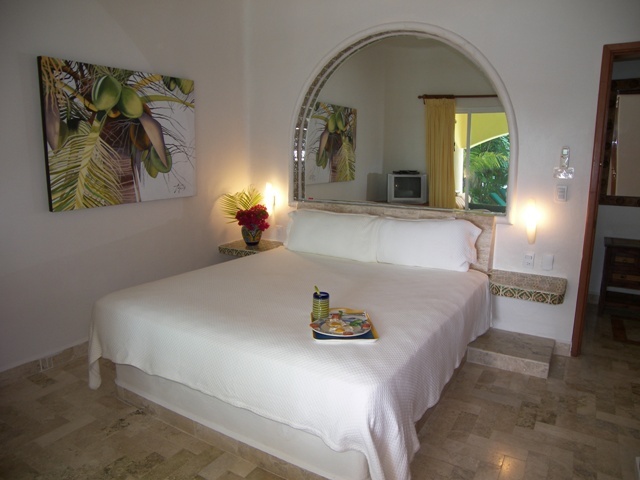 Huge glass windows allow an almost constant sea breeze to energize your senses and the sound of the Caribbean Sea will make you think you are in heaven. 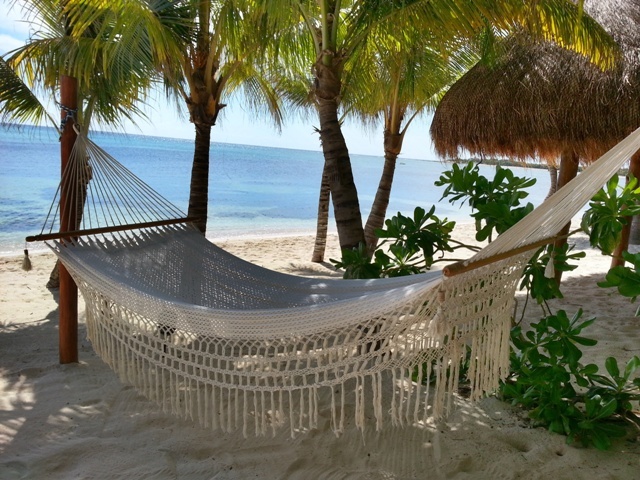 Meal plans are available so you are free to rest and relax at Villa Iguana! Tina Sito -Maryland, USA I would just like to thank you for all your help in making our vacation a truly wonderful experience. Your assistance in securing the house and our transport and providing answers to all my questions in a timely manner was greatly appreciated. 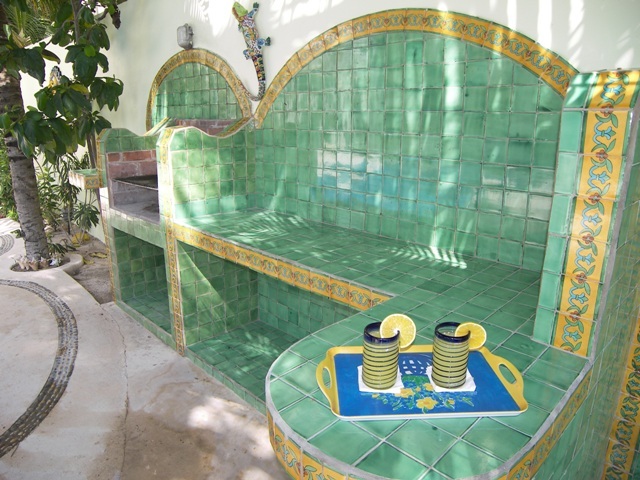 We loved the house, the location and above all the caretakers, Claudia and Myner. They went beyond all expectations to make our stay extra special. Claudia is a fabulous cook. It was a pleasure to meet Gustavo and he also was helpful. Again, thanks for all you help and hope to book with you in the future. Claudia y Mayner: Gracias por todo. Nos pasamos una semana maravillosa. La cena de la primera noche estuvo deliciosa. Mantienen la casa impecable.Todas sus atenciones son muy agrdecidas. El servicio del chef Antonio, fue mas de lo que esperabamos. Irma (chef) cocina delicioso, nos dejo a todos con ganas de mas. Luis es un joven muy trabajador,. La siguiente vez que vegamos vamos a pedir a Irma y a Luis. Los vamos a extra a todos y a Cancun! 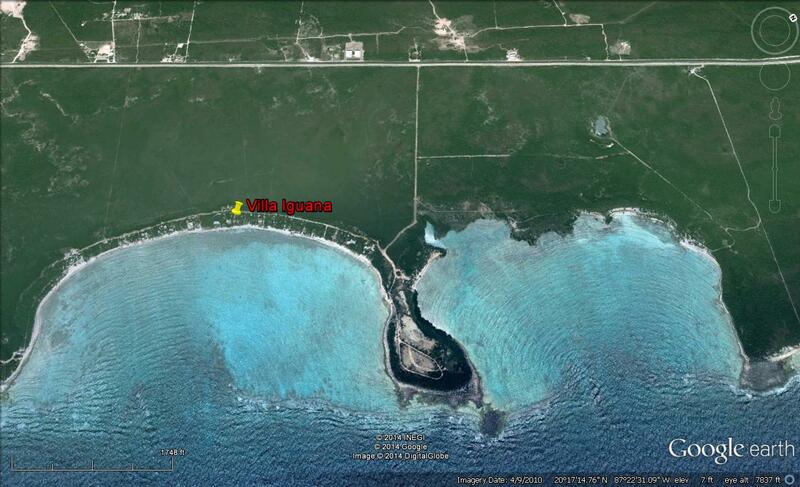 Texas Crey Thank you for allowing us the opportunity to experience a wonderful week al Villa Iguana. The House is very nice, a slept our large group of 10 men.The views are remarkable the days seemgo to crawl by as if time stopped. 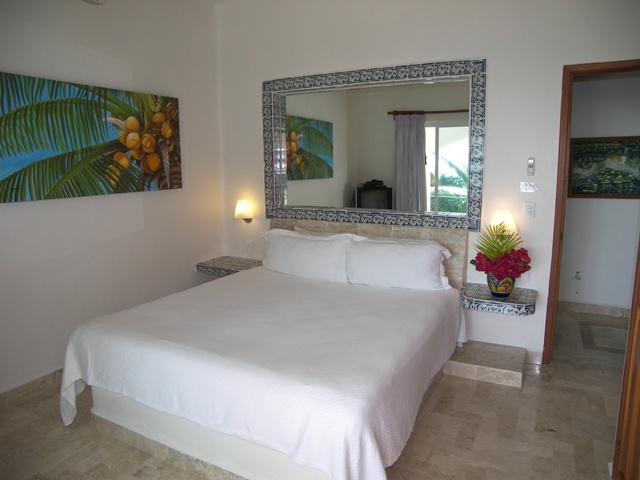 Claudia and Myner took care of every detail, to make it seem as if we were at home. 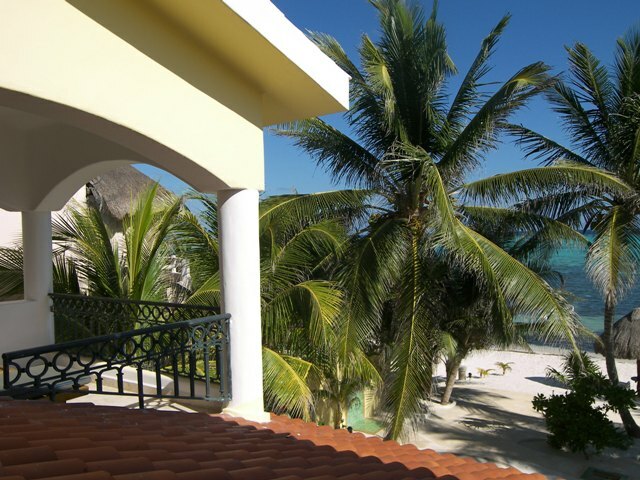 The fooog waas fabolous, house always, and the pool and beach beautiful all day long. We will take with us some great memories to last a lifetime. Sincerly- Stocker's, Joshi's, Kinikal's. Familia Christensen Claudia y Myner. Lo pasamos muy bien, la casa es muy grande y bonita. Sus hijos lindos y tiernos. 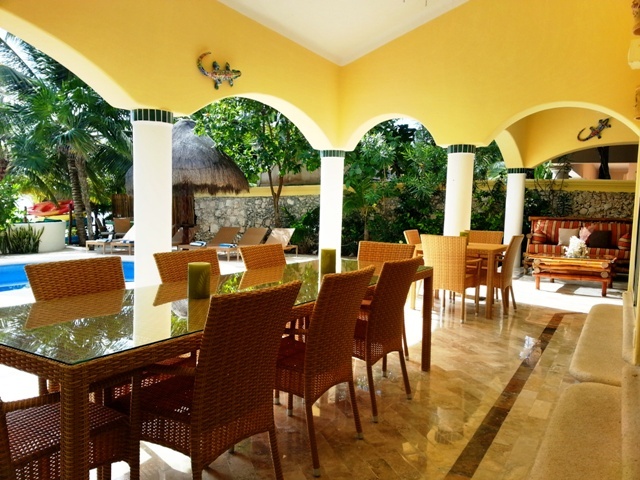 Villa Iguana es la mejor. Siempre esta muy linda la casa.Ordenan y ordenan, Myner nos mantenia la playa limpia de las algas que salian del mar. Ame, Ale, Ana, Axel, Anto, Ale Cabrera. The Bodily family was here! Que Bonita! We Love it! 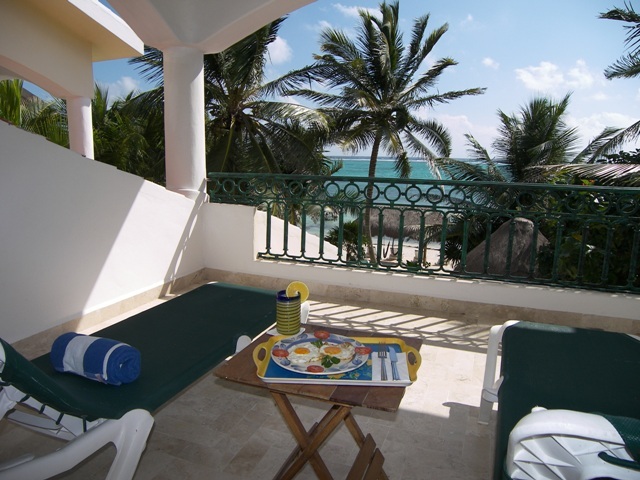 Breezes an views and great service too! Thank you! We had a great time, loved the food!!! Muchas Gracias! Jeff, Shannon, Kylie, Conno, Ashlyn, Aidan. 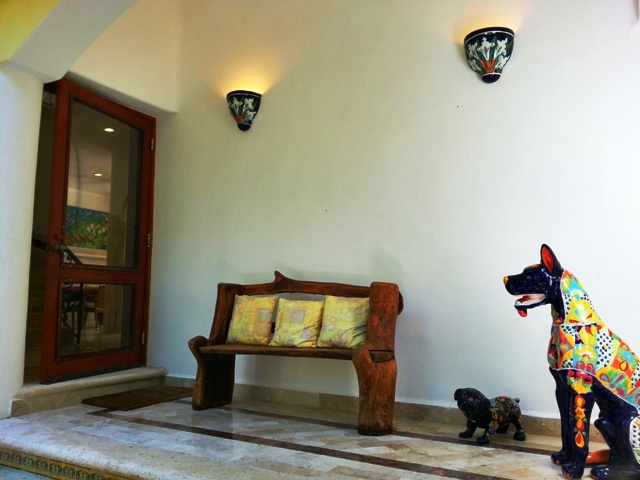 Alexis de Monis (01/04/2013) / Thank you very much for your help and warm welcome to Villa Iguana. We enjoyed you constant smiles and gracious "dimeamor" (this expressions means TELL ME LOVE - Dime Amor), as weel Claudia's wondergul cooking. 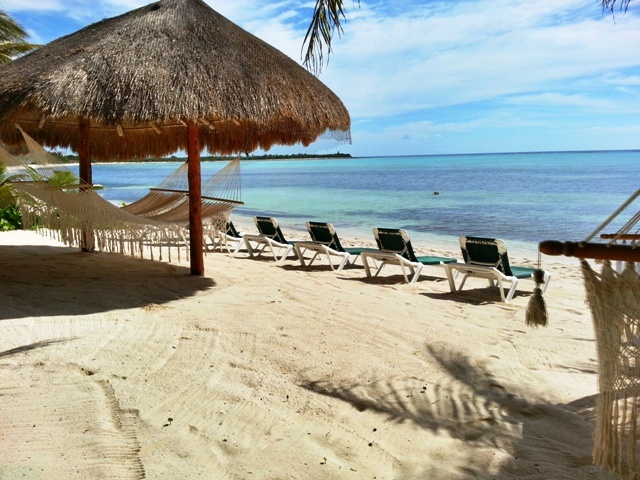 Our stay could not here been more succesful and we are it to you to have been able to rest an relax like we did. Muchas gracias por parte de me, Christopher, Gerarld, Sophie, Daniel, Mark, Josephine y los nios! I personally hope to be back here in the future. Leslie McNutt A PERFECT STAY! More than I could have imagined!! Beautiful home! Sara Carithers PERFECT FAMILY VACATION We enjoyed a perfect vacation with our extended family (10 people). 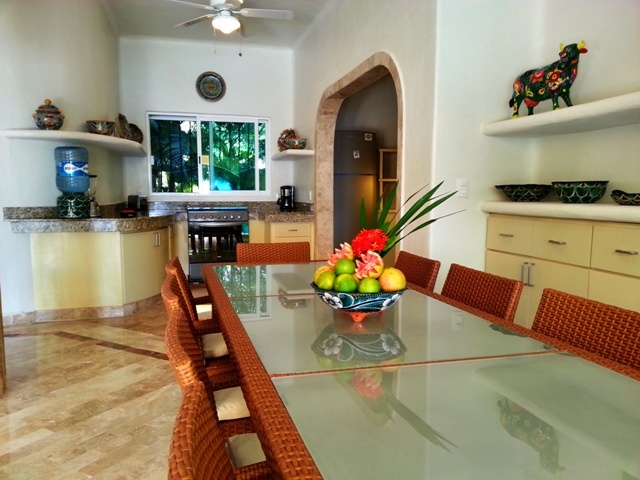 The house had big common areas and plenty of smaller private spaces to spend time. The food that Claudia prepared was excellent and she and Myner were very sweet and helpful. The snorkeling in Soliman Bay was wonderful 5 out of 7 days. There is a lot to do in the surrounding area. 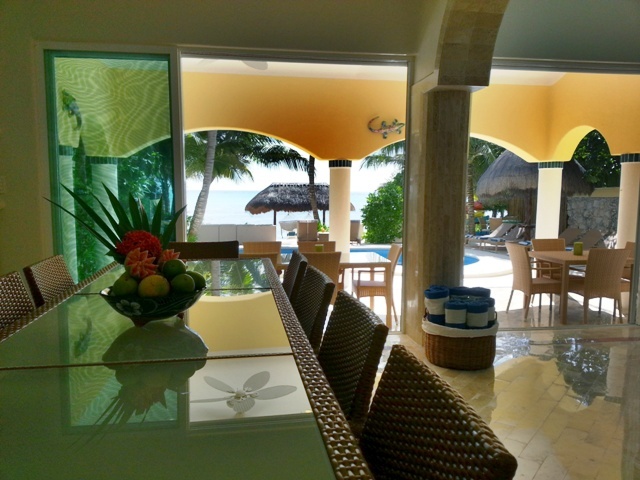 The house, pool, beach and bay was very kid friendly. The beds were comfortable. The only thing was the directions to the house were confusing and took both parties a lot of trial and error to find. Great vacation!!! Carter Kohlmeyer A Great Time Its a great house, in a great location...close to lots but a world away. Thanks to claudia and myner for working so hard. Susan Tomlinson IGUANA HOUSE The house was very nice, great location. It was secluded, great views. Munro + Ann + Hannah + Kali We all had such on amazing time!&nbsp; The beach and the house are so lovely. We come down with our group of 10 friends and family, it was perfect! Barbara - Denver, Colorado, USA / Casa Iguana is a beautiful, magical retreat. Thank you to Claudia &amp; Myner for making our stay so comfortable. Everything was perfect. Claudia's cooking was fabulous MAX was a great companion on our walks. I'll thing about come back! 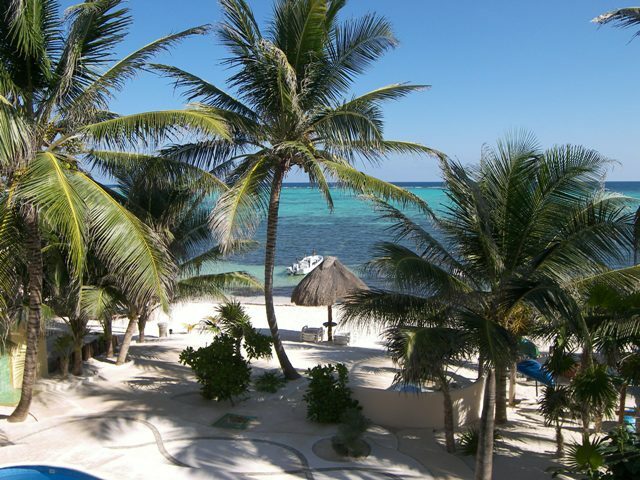 Donna + Steve + Ali + Phil - Cincinnati, Ohio, USA / Casa Iguana is a beautiful place to spend our time away from home! The weather was perfect! Snorkeling in the bay was fantastic! The coral reef offer many variety of fish to observe in their natural habitat! 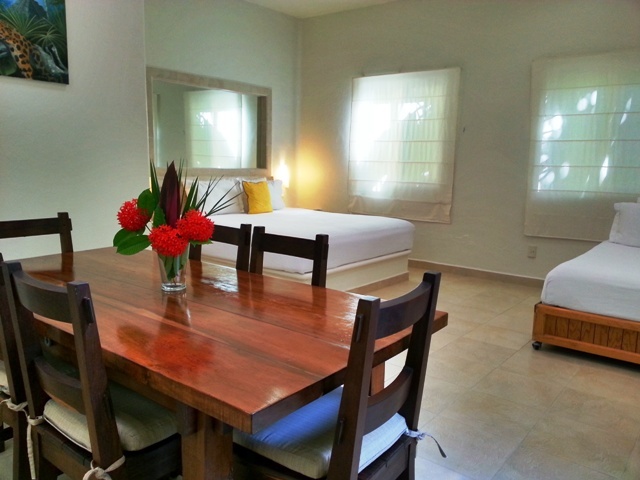 Claudia + Myner were wonderful and kept us very happy while we were here. Wish we could stay longer at this beautiful place, We'll be back... Thank you very much! Franc Charlotte What a beautiful time! Woul really like to thank Myner and Claudia for the excellent service. We got married here, it was absolutely wonderful. We would also like do thenk Antonio &amp; jose for doing an excellent job with chef service - Be sure to ask Myner-Thank You! See You soon! The Sutherland's Boston, MA &amp; St. Louis, MA, USA / Claudia + Myner Gracias por todo! 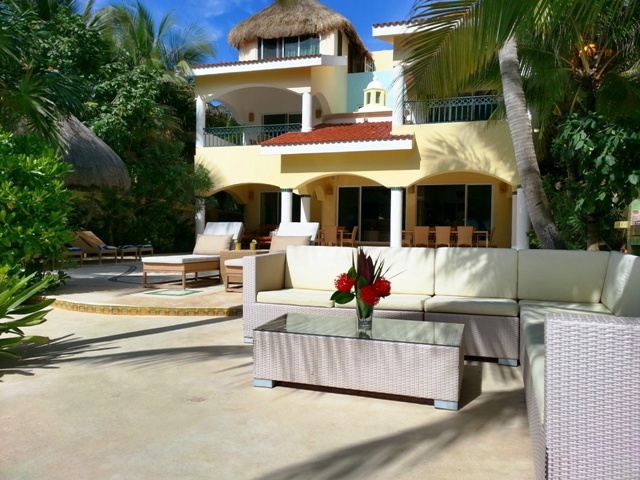 Villa Iguana es muy bonita :) Thank you for a wonderful week! 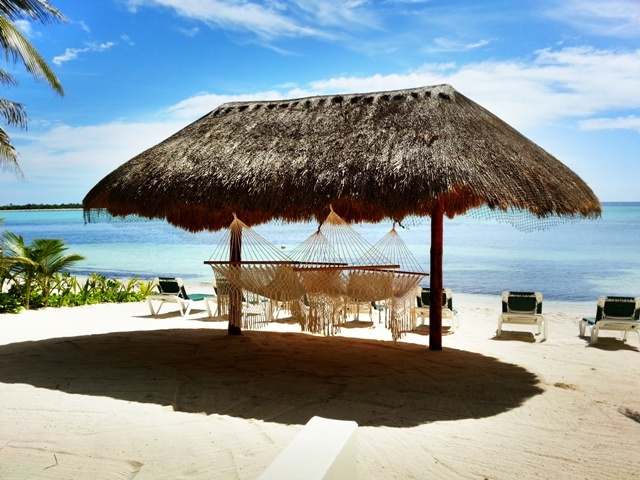 Villa Iguana &amp; Soliman Bay are the paradise. We've greatly enjoyed the time have hope to be back in the future. The food you prepared was delicious&nbsp; and you made our stay very enjoyaby :D Muchas Gracias! Diego, Matilde, Isa, Ana, Juana, Hector, Felipe, Lucio y Pedro Biocalti - Argentina, BS AS / La pasamos increible por aca, la casa esta espectacular, la comida deliciosa y una atencion que no tiene precio! Nos divertimos muchisimo y nos encanto Mexico, especialmente la casa, Villa Iguana - XOXO Mayner and Claudia, Hope to see you next yea again! This has been a great experience and we had a great time Thank you for everything The O'Bryan's - Chicago, IL / Dear Claudia &amp; Myner Muchisimas gracias por todo lo que hicieron por nosotros&nbsp; surantes nustras vacaciones en Villa Iguana. Nos divertimos mucho y nos sentimos seguros y bien alimentados toda la semana. Ustedes forman un gran equipo, los dos cocinaron platillos deliciosos, manteniendo la casa limpia y atendiendonos todo el tiempo. 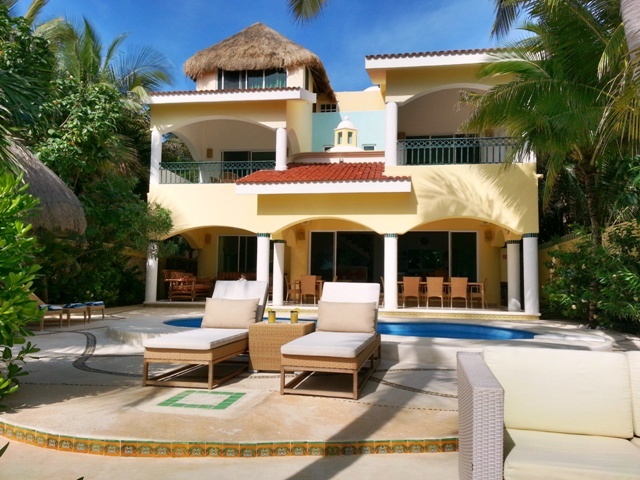 Gracias por ser tan amables y buenos con nosotros Arielle, Taylor, Alex, Aric, Domenic, Laura, Cari, Kim, Steve and Kym Claudia &amp; Myner This has been a great exprerience for our whole family, this place is beautiful. We all agree that meeting you was one of the best things about our vacation. The cooking was amazing an d you made our stay ten times more enjoyable. We hope to come back again. Thank you for everything. LOVE! Mike, Teri, Dani, Nate, Isabel, Isaac, Lindsey &amp; David Colorado, USA / It's these little spots on planet earth that help us to remember who we are and our place along side all of creation.How wonderful! Thank you for letting us stay in this amazing little bay.Jos&Atilde;&copy;, "the international chef of mystery", was splendid. Stand-out was the red sauce for the fish, incredible.Thanks to Alfredo and Leslie too.No problems to speak of and they kept everything spotless.We will miss the ocean and the sand. The Moran-Lago Family We leave Villa Iguana today February 23 after a marvelous family reunion.We were taken care like royalty by the wonderful staff and Jos&Atilde;&copy;'s delicious cooking. The Dalton and Cooper Families Tyler, TX / This is our third visit to Villa Iguana, and it's been another grand adventure where we felt as if we were part of "Lifestyle of the Rich and Famous" (SANS photographs and press)We hadthe honor of being Antonio's and Eladio's first family to cook for.Wow! Ask for the fish in garlic butter sauce or guajillo pepper sauce, fish or shrimp tacos and ceviche.For breakfast try huevos motule&Atilde;&plusmn;os for an authentic Mexican treat.We only made one trip to Tulum's San Francisco market - where we were daily customers last year - because Antonio did all the shopping for us.He even went to the liqueur store! !And cooked special meals (pasta, hamburgers and pancakes) for the 4 and 6 years old.The blender fired up the just round of pre-launch margaritas at noon, which Antonio served pool side.Aside from the quick jaunt to Tulum and a magical day at Xel-Ha we never left the house.Why bother, Paradise was right here.Thanks for sharing your home. The Harding Family San Francisco, CA / We leave Villa Iguana with wonderful memories of this Christmas week.The most special thing about staying here is the people.Susy and Ricardo attended to all our needs.Antonio and his excellent English helped things go smoothly.Jos&Atilde;&copy;'s cooking provided us with very special meals.Just follow his ideas and you'll be very pleased.Our favorite were fish tacos and Maya Chicken.We will be back, hopefully soon! The Tooley and Moller Families Thank you so much for everything!This was such an amazing vacation!Jos&Atilde;&copy; was incredible and we felt like royalty!We were way to spoiled!We can't wait to come back with our family! Lots of love. The Browne Party Jos&Atilde;&copy;, Suzie and Ricardo were great we had a wonderful time; we had 3 families from Pittsford, NY in USA we went to Xcaret and swam with the dolphins, wow it was very fun because we spotted Iguanas swam in the ocean which was very warm and we went for several kayak rides.I don't think I ever had the delicious food Jos&Atilde;&copy; makes.If I were to grade his food it would be an 100 thank you Susie and Ricardo! &acirc;&iuml;&iquest;Ã�Â½&Acirc;Ã�Â¦Love.